“Shooting the Japanese bamboo bow was once a battlefield skill of samurai. 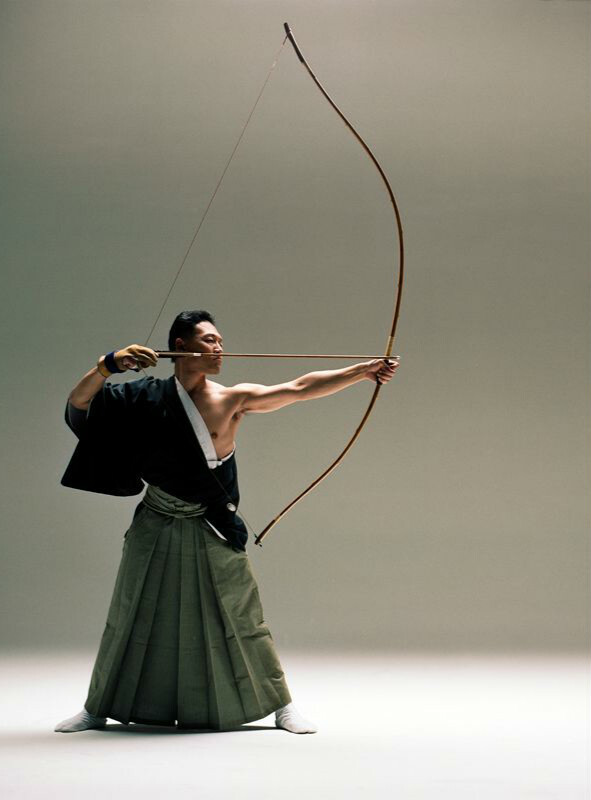 Today kyudō, “the Way of the Bow,” is a character-building art, a form of self-development that teaches the archer to cultivate technical precision, a clear mind, and freedom from distractions and fear. Members of Tucson’s Arizona Kyudo Kai will draw their nearly eight-foot-long bows at Yume and let shafts fly from 1:00 to 3:00 pm on March 31. They’ll also explain the ceremonial etiquette, traditional dress, and shooting procedures and stances that make Japanese archery a discipline for both body and mind, simultaneously competitive and meditative.